After a fantastic 2015 USAFL Nationals Tournament in which we accredited more umpires than ever before, we are thrilled to look at what will be happing in 2016. Whether you are just looking to help your local team or looking to get some experience in Australia, Europe, or Canada, the USAFL UA is your source for help, experience, and information. There is a full calendar of events that will happen, and as the details become available, we will be posting to our social media outlets, so make sure you have them bookmarked, liked, tracked, and whatever else is used these days to keep informed. Below is a listing of the events and approximate dates of each event. Thank you for a great 2015 and we look forward to more greatness in 2016!! These are tournaments that the USAFL Nationals seeding committee looks to for insight as to where to seed teams at Nationals. These tend to be well attended so there are usually plenty of games. These tournaments pay field and goal umpires at the Nationals pay rates. This is a great time to get observations done for those looking for their accreditation, whether field or goal. These tournaments are still tentative. They may or may not happen, and if they do, the pay for umpires is not certain yet. Still, there should be a fair number of games, and if it makes sense, the USAFL UA Umpire Coach will attend to do observations for accrediations. This international event features four events, with both senior and reserves on both the men’s and women’s sides. The US and Canadian umpire associations send their best umpires to work these events. This is by invitation only, and travel costs are partially covered. In the past we have had field and goal umpire representation. If you feel qualified, contact Jeff Persson to discuss as we are looking for umpires to step up and we are considering adding Boundary umpires to the mix going forward. Minimum qualification is Level 1 for Goal, and actively seeking or having Level 2 for Field. 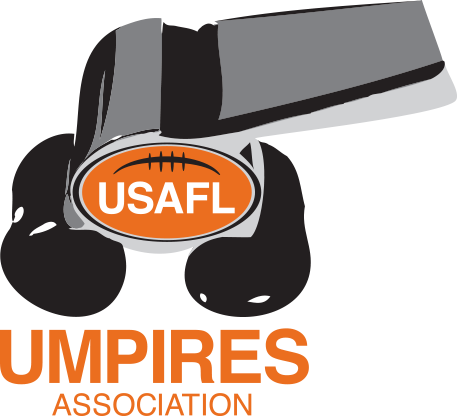 This is the ultimate event for USAFL umpires in 2016. With 44 competing teams in 2015, and 85 total games happing in 30 hours, and a clinic on Friday afternoon, there is no better time to get your accreditation completed. There will be several umpire coaches (from Canada and the US and hopefully from Australia as well). If you have done your homework during the season, you should have no problem being accredited on this weekend. No Replies to "Looking forward to a great 2016 for the USAFL UA"